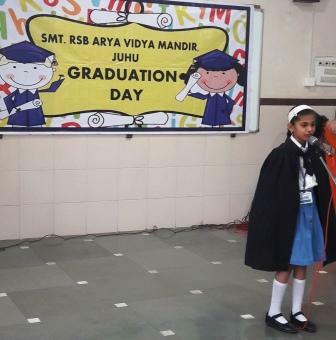 15th March, 2019 was a big day for the students of Standard 4 as they geared up for their Graduation ceremony – from Primary to Secondary section at AVM Juhu. 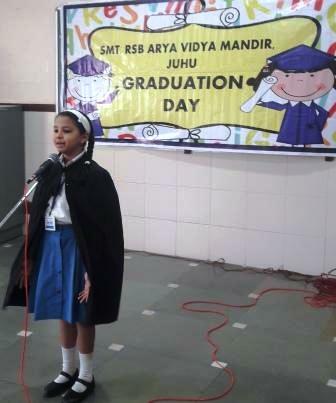 The academic year 2018-19 draws to a conclusion and the students are filled with mixed emotions. 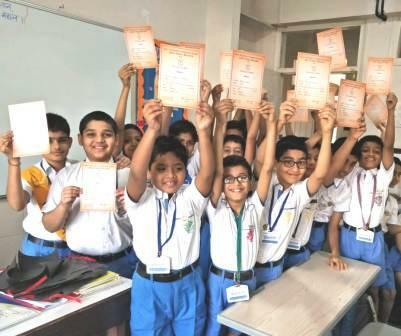 They are excited about the new class, new books and new teachers, at the same time their hearts are heavy with emotion as it will also mean parting from their year-long classmates and teachers. 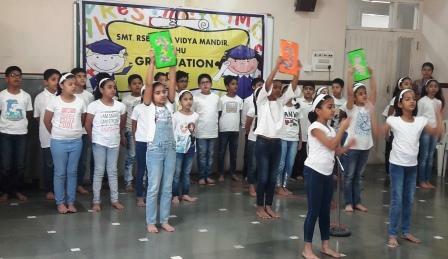 For the graduation ceremony, the students of Standard 4 donned their graduation caps and gowns and proudly marched to Yoga Hall for the ceremony. 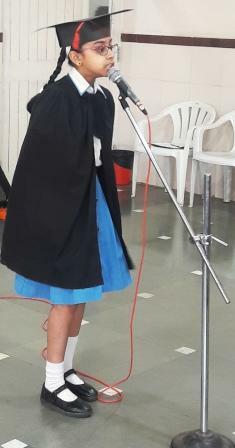 Mrs Alka Agrawal, Principal heartily congratulated the excited bunch of ‘graduating’ students. 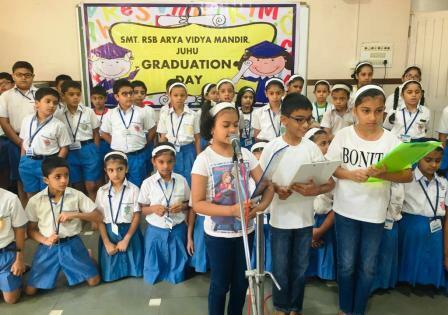 Class teachers of 4th standard, Ms Priti Parekh, Ms Priyanka Sharma and Ms Sharmila Bagchi bid farewell to another batch of talented lot of youngsters raring to go. 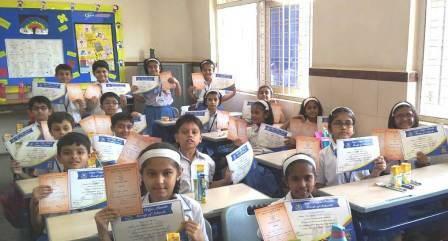 They also posed for some keepsakes with their students. 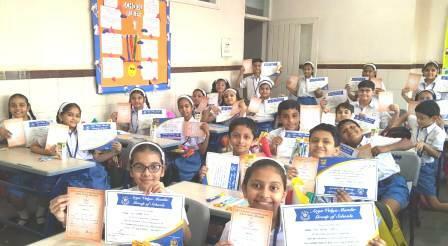 Soft skills certificates were distributed to all the students of standards 1, 2 and 3 by Primary Subject Head Mrs. Shefali Umesh. 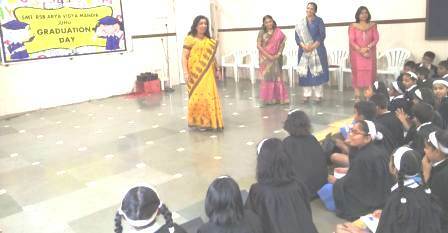 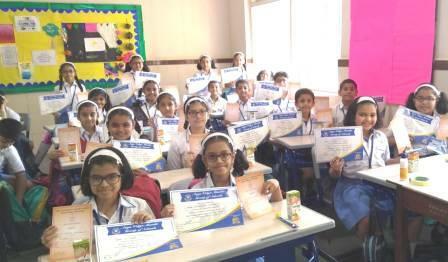 The in-charge of the event was Ms. Namrata Daswani along with the Primary Subject Head Mrs. Shefali Umesh.